You’ll remember a couple of weeks ago I featured Alyce Blyth of Blossom Heart Quilts in my Quiz a Quilter series. 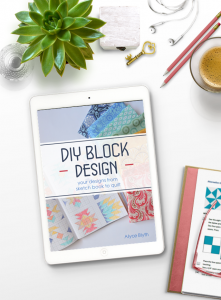 She’s running a blog tour as part of the launch of her DIY Block Design e-Book and I’m very pleased to be a part of the tour today. 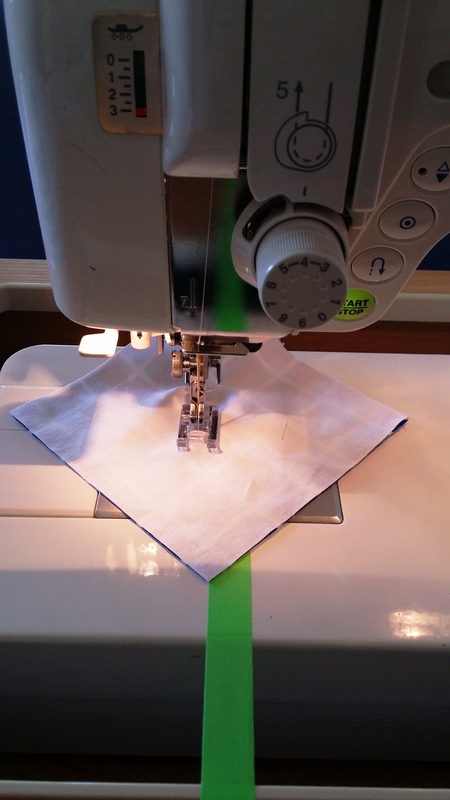 I love HSTs and all the ways they can be used. My first pattern, which is with testers at the moment, comprises a centre panel made up entirely of HSTs. So, I decided the block I was going to design needed to use HSTs. I also really love blocks that have a secondary pattern when repeated so I tried to incorporate that into my block. I sat down and started sketching. I love the Sew Easy Imperial Graph Paper – it makes it easy to draw up your block to size, as well as draw it in different scales. It was using this that I was able to create the 6½” version and see what it would look like as a repeat. On the right: my original 12½” block. On the left; the 6½” version on repeat. Can you see how it’s got a border – 1″ (finished) on the 12½” sized block? If I were making a full quilt out of it, I would actually make it as a 10½” block and use 2″ (finished) sashing strips. 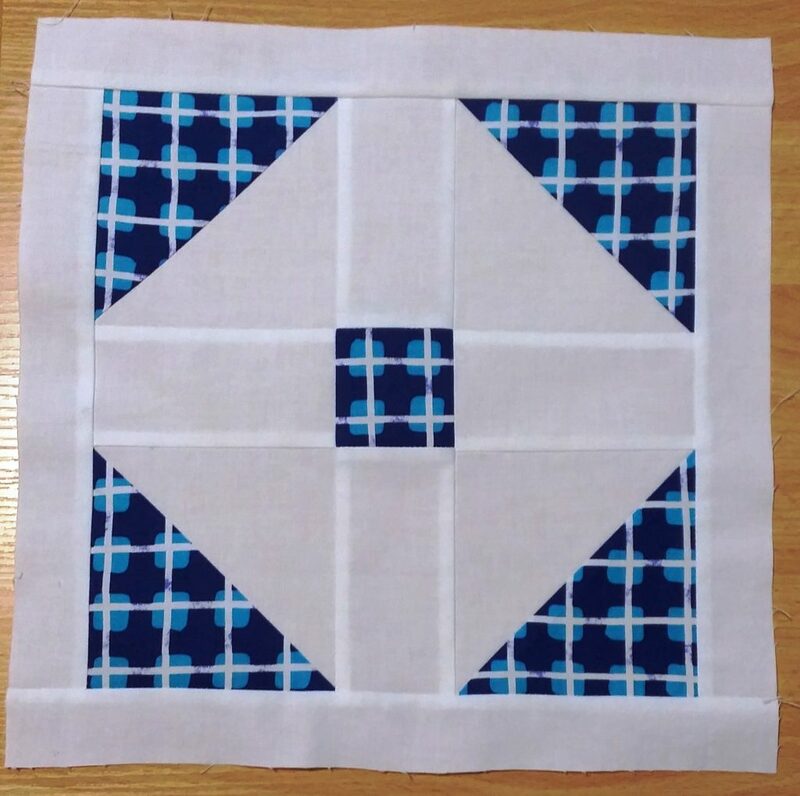 Here’s my finished block – I couldn’t help fussy cutting the centre square! My Finished Block – do you like the fussy cutting? You can see that it’s made up of four HST units and strips. When I make my HSTs, I don’t draw a line down the middle. 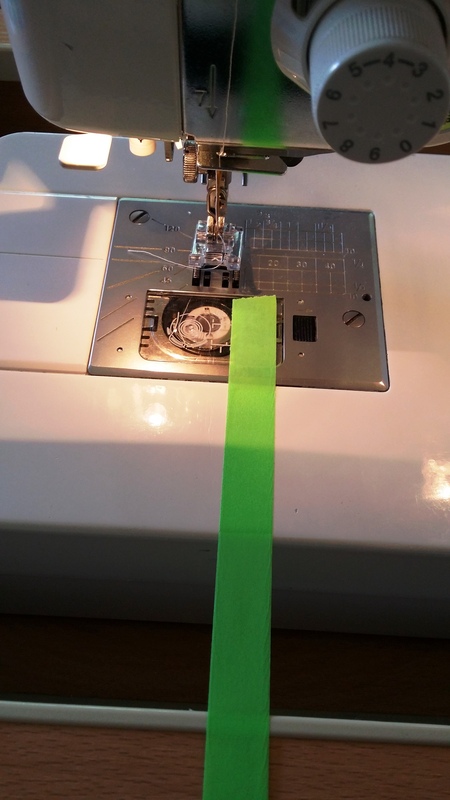 Instead, I put a piece of washi tape at the ¼” line on my sewing machine. This line at the ¼” mark help you line up the seam and negate the need to draw a line on the fabric. You can see in the picture below how the fabric lines up. 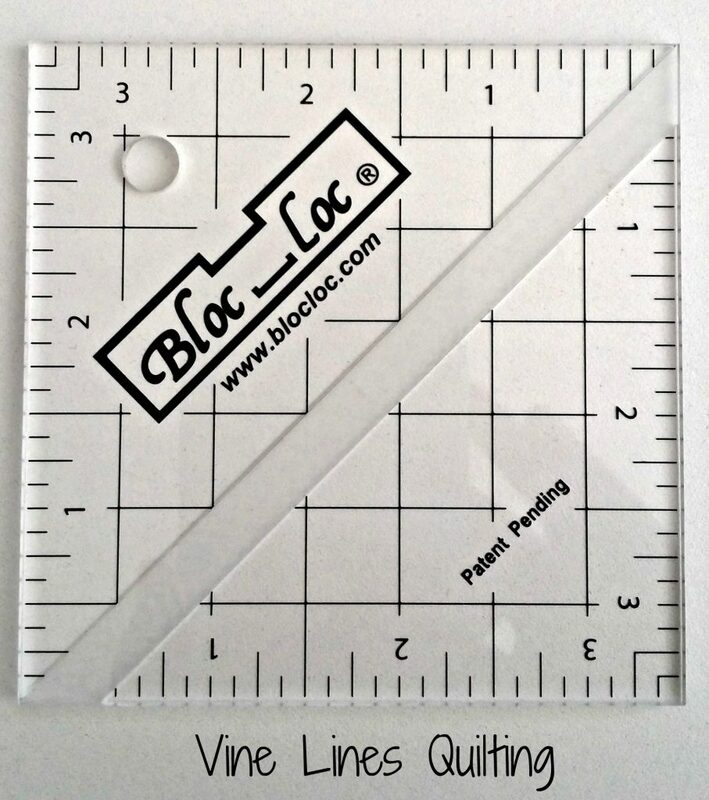 My very favourite tool when trimming up my HST units is my Bloc_Loc Ruler. They making squaring up sooo easy! I’ve got a couple of different sizes as well as one for squaring up flying geese. If you’re going to be making HST units a lot, I highly recommend them. I also cut my original squares slightly larger than recommended – I like to have a tiny bit more to play with. 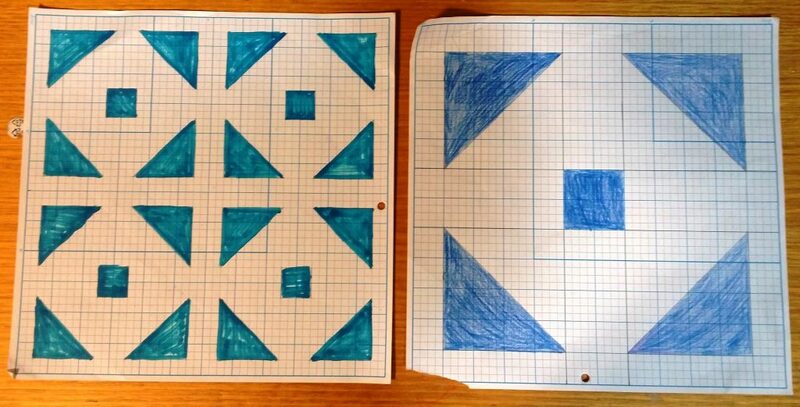 So, if a pattern asks me to start with 5″ squares, I’ll cut them at 5¼”. I had so much fun putting my designing brain into gear; I did some other sketches as well which I’m going to turn into a pattern. Don’t forget to pop over to Cassandra Madge and Quilty Joy Joy today – they’re also participating in the tour; I can’t wait to see what they’ve designed. What about you; what’s your favourite type of block design? Have you been inspired by Alyce’s book? I hope so!